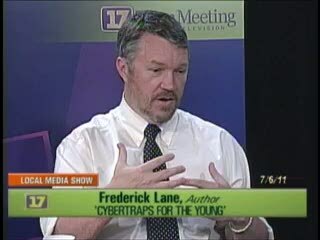 Host Lauren-Glenn Davitian speaks with Frederick S. Lane, Author of 'Cyerbertraps for the Young'. This groundbreaking book looks at the issue of child safety online from a unique perspective -- the legal consequences that children can face as a result of the use and misuse of electronic devices. It is intended to educate parents, teachers, and school administrators about those risks, and to offer practical suggestions for minimizing the likelihood that children will stumble into one or more of the myriad pitfalls that lurk online.